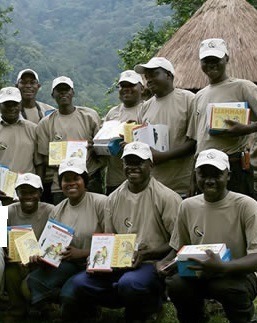 The Uganda Safari guides Association play an instrumental role in the Uganda’s tourism sector as they are custodians of information and themed interpretation of various products that are always sought for by travellers on safaris in Uganda. These guides have positioned themselves according to various niches including birders, primate specialists, cultural guides, eco guides among others. Most of them have explored the Pearl of Africa Uganda from the south western Uganda gorilla trekking safari destinations of Bwindi and Mgahinga to the Uganda wildlife safari destinations in the north east including Kidepo National Park thus endowed with rich experience about Uganda as a safari destination. Apart from the guiding its self, they have built ideal expertise in tourist driving. sometimes the unsmooth roads of Uganda are not a problem to them and the challenging scenic roads of Uganda like the south of Bwindi and the ones connecting from Kabale to Kisoro is neither a challenge too which surprises foreigners on safari in Uganda who are at times frightened about the roads thus giving them a considerable recommendation. This is a clear indication that Uganda is endowed with professional safari guides that are dedicated to ensure that the interests of travelers who plan safaris to Uganda are satisfied.